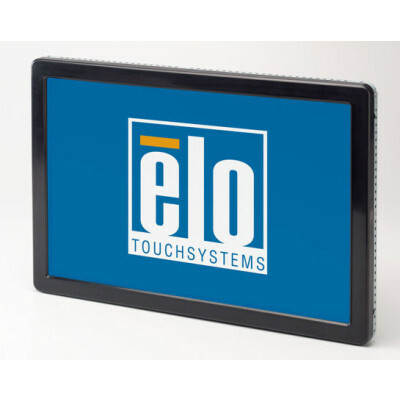 Elo 2239L Touch screen - Big Sales, Big Inventory and Same Day Shipping! The Elo 2294L 22" open-frame LCD touch display features a slim design and narrow outside dimensions due to the state-of-the art energy-saving LED backlight, using less electricity to operate and generating less heat. Featuring a brilliant wide viewing angle panel, the 2294L instantly grabs and holds the users" attention for kiosks, casino and amusement, retail self-service, and industrial floor automation. The ELO 2239L features a brilliant wide-viewing-angle LCD panel to instantly grab and hold the user's attention, whether they are checking out retail goods with a self-service kiosk or playing games in a casino or arcade. Because the enclosure is controlled by Elo's specifications and tooling, Elo's open-frame monitors have a long-lasting product cycle, which is important to maintain continuity through all phases of project rollouts and servicing.